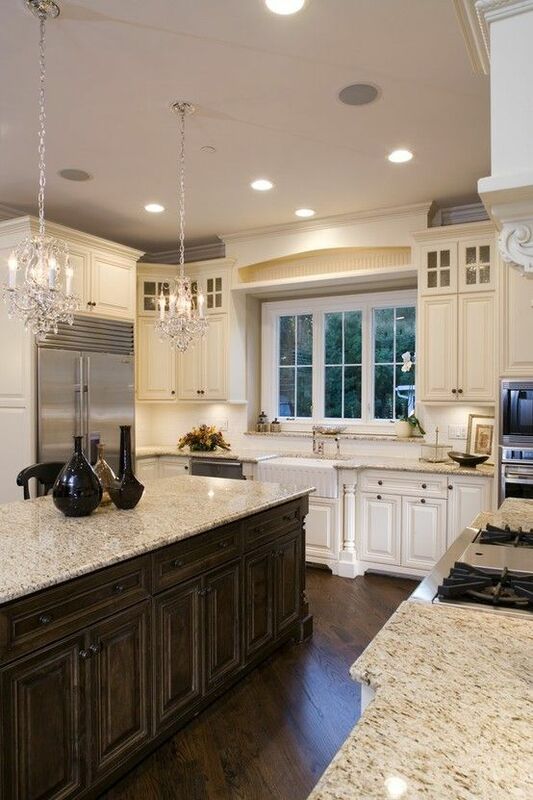 Choosing wall colors for your home is undeniably one of the most exciting phase. Wall colors make a tremendous impact on the style and overall look & feel of your space. So take it slow and give it a lot of thinking. Because it is not just the colors on the wall but the colors of individual elements in the room also add to the effect on how we perceive the space. Think holistically and arrive at a color scheme first; the colors of the curtains, rug, furniture, cushions, art and accessories all contribute to the over all effect. So there should be good harmony and balance between all the colors in the room. Colors also have a psychological value and directly affect your mood, so choosing the right tone of the colors is also very crucial. Here are a few photo comparisons to show you how the choice of colors could make a space look good or really bad. The key here is to understand how to bring about a good color balance. When you use bright colors like pink make sure all the other colors in the room doesn’t fight it. 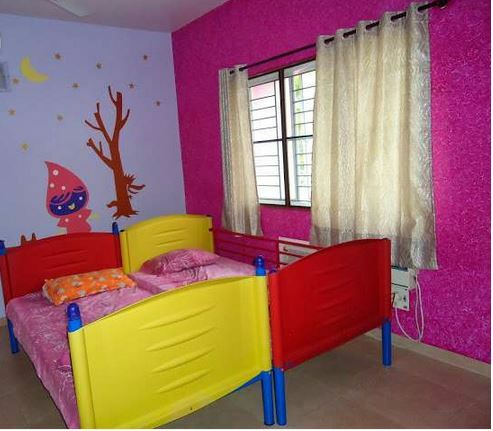 In the first picture below, the room is missing a good color harmony due to the odd choice of the red and yellow cots. 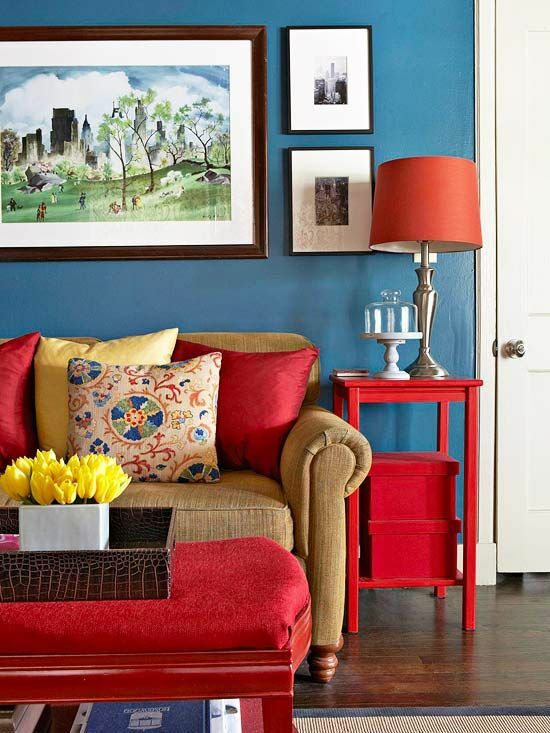 These primary colors here clashes with the hot pink on the wall making the room feel unsettling for the eyes. Where as the second picture is a good example of how to highlight one chosen color by using lighter tones for all the other elements in the room. Here the pink stands out against the neutral beige walls, curtains and simple white furniture. Pink for the ceiling here is sheer magic! A fan of the color yellow? Of course it is one color that adds instant warmth and fun to a space. 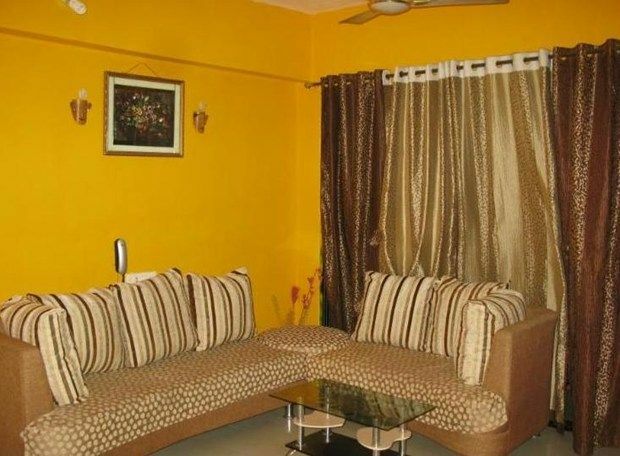 Checkout the pictures below, the first photo of a small size living room feels much heavier on the eyes due to the use of the strong yellow on both the walls. Also the dark brown and shimmery gold for the curtains is heavy ornamentation to an already bright wall. On the other hand, the room in the second picture has muted yellow for the wall and a simple, light beige for the curtains and the sofa. In this setup even the colorful mix of throw pillows looks charming without being over-powering. 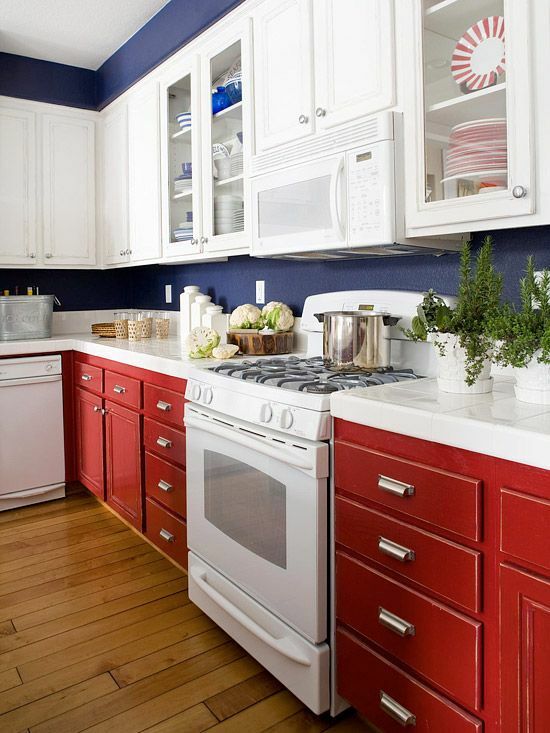 When you want to break the stereotype approach and design a kitchen with blue walls and red cabinets, its great! But it can end up either looking awful or extremely inviting based on how well these two strong colors are balanced. The second picture looks clean and stunning because the red and blue is balanced well with the use of good amount of neutral white for the wall-cabinets and the counter top. You can create maximum impact of colors by careful choice and strategic placement of the same. Here is an all-white room looking fab with just two colors, green and orange popping-off so brilliantly. 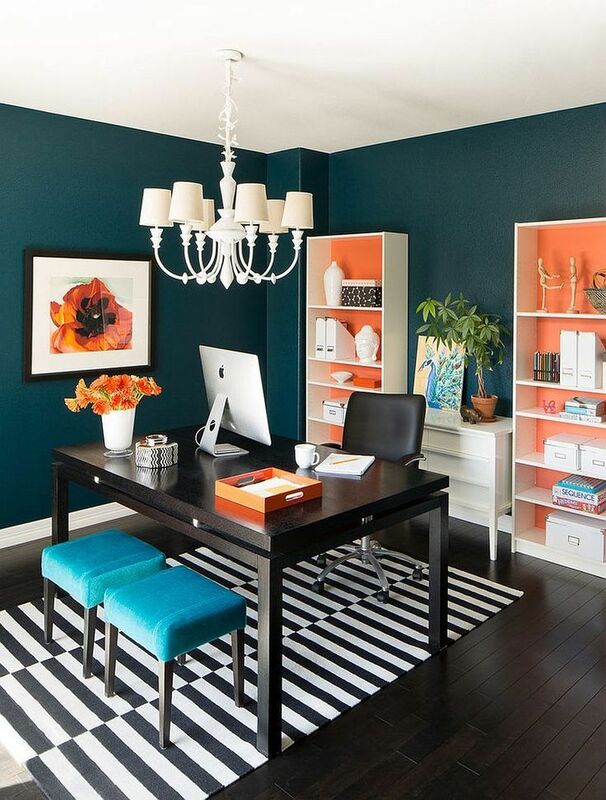 See how the color of even smaller elements in the room can make a huge impact? You could also make a bold statement by simply using only black & white! And finally one for those who love to play with colors. Picture 1: Complementary Teal and orange balanced well with black & white. Picture 2: A Perfect triad of Red, blue and yellow and a little dose of white. Do you feel its time for color make-over for your space? Call us for a personal color consultation, we will help you pull together a fabulous look in no time! If you are in India you are lucky to have #AsianPaints offering such a huge selection of paints and out-of-the-world wallpaper collections, #Nilaya. Do check them out!